If you were going to envision the ultimate avant-garde meeting-of-the-minds jam session, who would you pick? 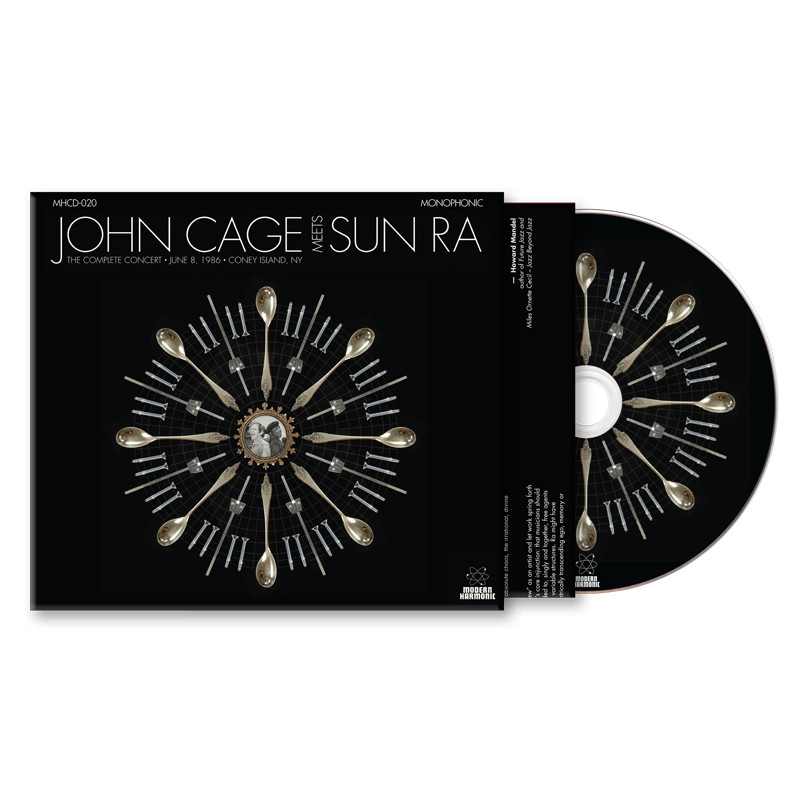 Even the most hopeful fan of strange and innovative music couldn't have seen this one coming: on one afternoon in 1986, at Coney Island's dilapidated freak show, space-age avant-jazz genius Sun Ra met avant-garde "serious music" composer John Cage in an unforgettable performance. You couldn't imagine two figures more opposite. Cage was known for his unusual approach to composition, using objects such as radios and television sets, as well as pure silence, as instruments, often encouraging his musicians to do other things at their whim on stage. Sun Ra, on the other hand, was a jazz arranger known for his "space-age" approach to jazz, adding free-jazz and surrealist elements into a musical form that Cage often disdained -- improvisational music. And yet, for one afternoon, they pooled their talents -- Ra playing keyboards, leading his small group and reading his unusual poetry; Cage "performing" vocal readings and passages of vocal sound -- plus his trademark silence -- designed to baffle and disorient. The combination is breathtaking, both organic and mechanical, free-form and totally composed. For the very first time, Modern Harmonic presents the full and unexpurgated concert from 1986. In addition to never-before-heard songs and musical passages, this album at last presents the long-rumored co-performance between the two musical giants, all lovingly packaged in new artwork that captures the stark brilliance of the music. Take yourself back to 1986 and a once-in-a-lifetime performance that you can finally hear as it was intended. Read the whole Pitchfork review here! Also available as a 2-LP set on clear vinyl!